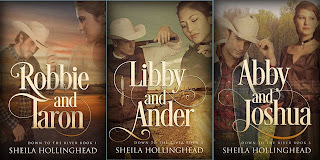 Libby and Ander is up for pre-order now. The publication date is only 4 days away, August 12th. Carl and I were discussing my writing journey of Libby and Ander. This has probably been the most by-the-seat-of-my-pants writing I've ever done. It's also been one of the most enjoyable pieces I've ever written. Not sure if they correlate but perhaps they do. Anyway, it's done and uploaded and locked in. Whew! 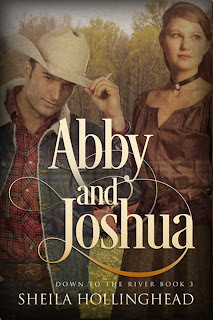 Up next is Abby and Joshua, already available for pre-order. I have the cover and have shared it in my newsletter, and it's also on Amazon. Technically, this is not a cover reveal but thought I'd share for those who might not have seen it yet. Abby and Joshua has a publication date of September 30th. The three novellas will be consolidated into a paperback book entitled Down to the River. The publication date for the paperback will be early October. Plans are to write three more novellas with the same characters. The possible title of the series will be The Brides of River Ranch. 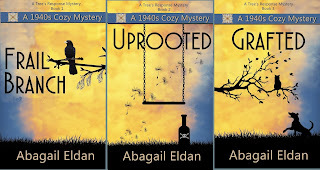 The titles of each novella might be Robbie, Libby, and Abby. I'm still considering the logistics of that. Will that be confusing for potential readers? Since those three will not be written until next year, pondering time is plentiful. I've made a decision concerning the future of my writing. While I would enjoy writing fantasy and sci-fi, I do not foresee the time to do so. If I quit the western romance books, writing fantasy and sci-fi might be feasible, but at this moment, that seems unlikely. The westerns will not be my only writing, Lord willing. Cozy mystery remains my favorite genre. I published one cozy, Frail Branch, and the other day, I unpublished it. 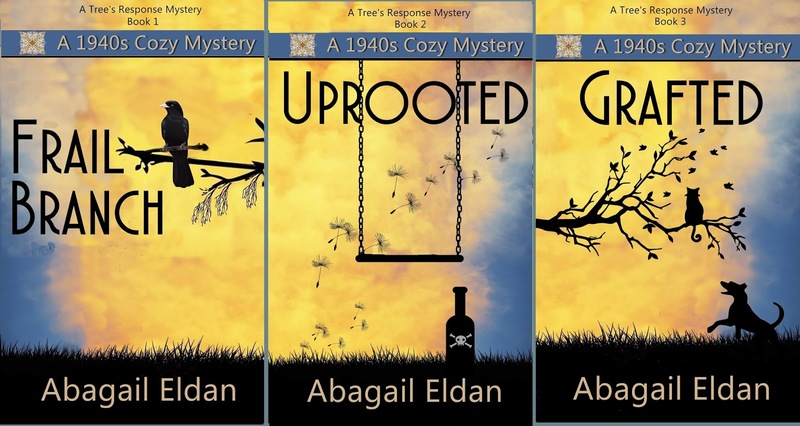 I've decided to write A Tree's Response Series as a trilogy. The first book will be re-written, the second is outlined and ready to write, and the third is roughly outlined. Each mystery will be around 40,000 words (a short novel) and will be a standalone. However, the three together will form one complete story, if I do my job right. This is true of the western novellas. The three together form one complete story and yet each novella stands alone. After receiving feedback on the covers for the mysteries, this is what I've arrived at. I'm working on the new blurb for Frail Branch and hope to re-write it soon. Also notice that I'll be using a pen name when these are published. Frail Branch will probably be published in December of this year and the other two early next year. Hope you look for them! Love the covers! I have my copy of Robbie and Taron and I am looking forward to reading it. I know I will enjoy it as much as I have all your other books. Good for you on all of your projects!